Boutique 817 by Rapid Plastics is a new style of dress/blouse/tops hanger design that ensures an excellent display of your garment. 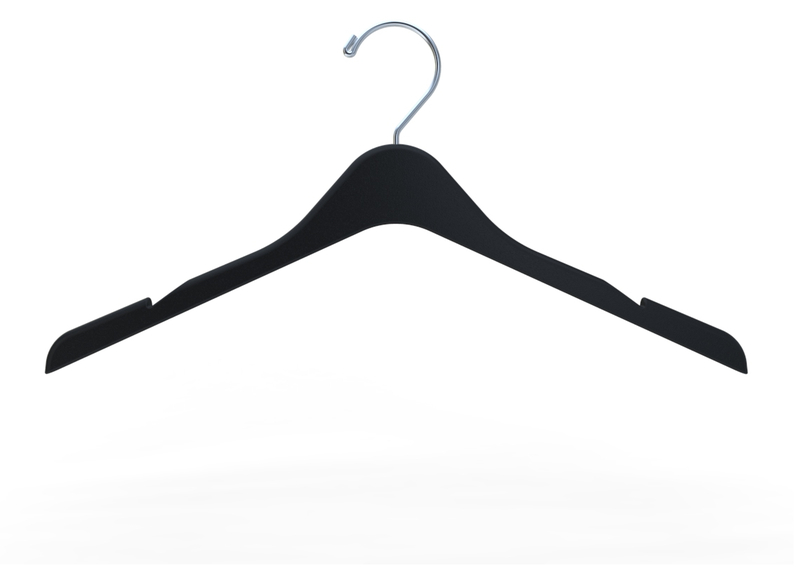 Its reinforced construction gives this hanger added strength which makes it suitable for a variety of garments. The long notch is excellent for presenting a wide range of strapped garments. Our boutique top hanger is not another typical hanger. Designed and manufactured in the USA.